InTeahouse's partnership with iSoftStone enables iSoftStone to offer services to new US companies and allows InTeahouse to expand its global reach with new branded office locations in China. InTeahouse, a global network that powers the international innovation economy, is excited to announce it has reached a partnership agreement with iSoftStone, a multi-billion dollar China based global IT services and solutions provider, to offer co-working space and IT services to companies operating in both China and the U.S. Through this partnership, InTeahouse will be able to greatly expand their professional service offerings to clients who wish to break into the Chinese market. “The partnership grants InTeahouse clients who wish to establish themselves in China, access to both iSoftStone’s co-working spaces and services, so that they can overcome the cultural and administrative hurdles that have traditionally hampered foreign companies’ entry into China” said Xin Liu, Founder and CEO of InTeahouse. iSoftStone’s co-working spaces, Leye Space will have offices branded with the InTeahouse logo so that InTeahouse clients and InFriends will feel at home while growing their business in the China market. With the inception of this partnership, InTeahouse and iSoftStone seek to fill the void left by traditional VCs and incubators by providing further support for market expansion into China with affordable one-stop professional service packages to fuel companies’ growth. This monumental step for InTeahouse creates 11 new offices from which InTeahouse’s InFriends members and partners can work from and utilize iSoftStone’s other business tools and services. 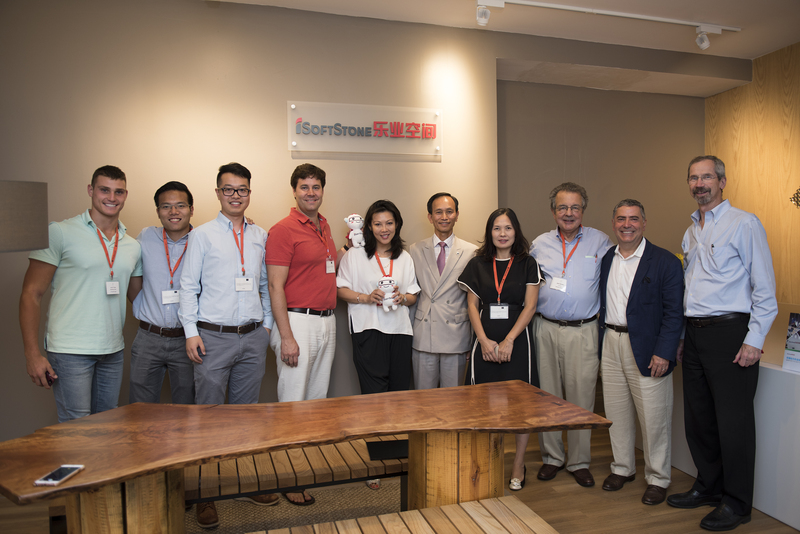 For iSoftStone, this allows them to continue to expand their brand and services to new companies from InTeahouse’s InFriends network looking for market expansion and business services in China. Join InTeahouse’s InFriends Network to capitalize on these new office locations and business services by going to InTeahouse.com. About InTeahouse - Founded in 2015 by entrepreneur Xin Liu, InTeahouse is a global network that powers the international innovation economy by connecting ideas and capital. InTeahouse’s mission is to create environments that drive successful connections throughout the world’s economy by building bridges between investors and innovators that bring new technologies to life. InTeahouse is built on the cultural foundation of the Chinese Teahouse to blend personal well- being with successful business ventures. For more, please visit http://www.inteahouse.com. About iSoftStone - iSoftStone is a leading China-based global IT services and solutions provider. iSoftStone's main business covers the two areas of smart business and information technology service, with the comprehensive professional ability of end-to-end 'software development + consulting services' and the substantial advantage of vertical services. In the field of smart business, iSoftStone adheres to the idea of "smart city construction industry first", having developed and organized the smart city strategy in over 80 cities around China; while in the area of information technology service, iSoftStone has accumulated profound and abundant experience over the years.